Renault has improved the Zoe's range on a full charge by 67% to 400km (250 miles). FRANKFURT -- European sales of cars powered by alternative powertrains rose 39 percent last year as Toyota pushed hybrid models and Renault extended the driving range on the latest version of its battery-powered Zoe. Customers in European Union and EFTA markets bought 953,355 autos that run on systems including batteries, electric-gasoline or electric-diesel motors, fuel cells or natural gas in 2017, the Brussels-based European Automobile Manufacturers' Association, or ACEA, said Thursday in a statement. Combined demand for plug-in hybrids, which can operate on either conventional fuel or self-charged battery power, and so-called mild hybrids, which use an electric motor to help the combustion engine run more efficiently, surged 52 percent to 460,418. Sales of full-electric models jumped 49 percent to 135,369. The growth far outpaced the European car market's 3.3 percent gain last year, suggesting consumers are warming to the models added by Toyota, Renault and competitors. Still, the alternative systems powered only 6.1 percent of the 15.6 million autos sold across the region last year, an increase from 4.5 percent in 2016. Battery-powered cars had a 0.9 percent market share in 2017. EU regulators are requiring the auto industry to reduce CO2 emissions from vehicle exhausts to limit greenhouse gases. Customers have been reluctant to buy full-electric autos because of concerns about how long battery recharging takes and the short distances the cars can travel compared with gasoline or diesel models. 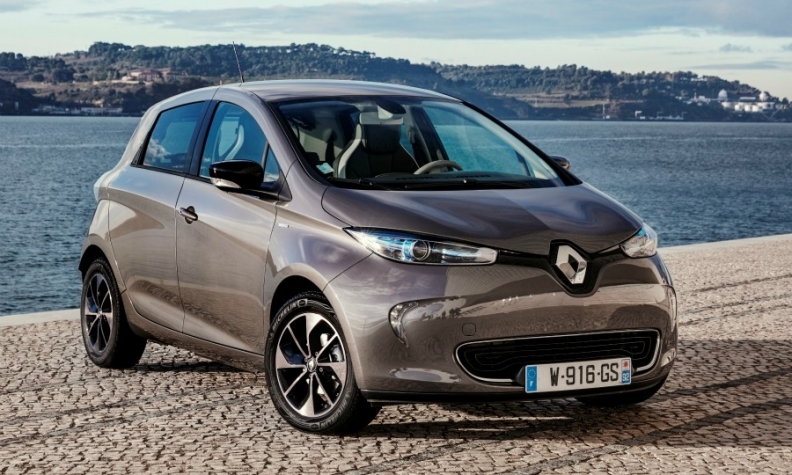 Renault improved the Zoe's range on a full charge by 67 percent to 400km (250 miles). Toyota has up to now focused on hybrid technology, and it said in January that sales of the models jumped 38 percent in Europe last year to account for 41 percent of its deliveries in the region. Sales of full-electric cars in Europe are set to surge to 200,000 this year, LMC Automotive predicts, with demand for battery-powered vehicles forecast to reach 600,000 by 2020 and rise to nearly a million by 2022.